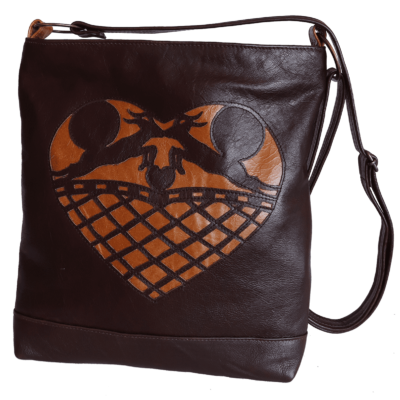 Striking genuine leather handbag for everyday use. 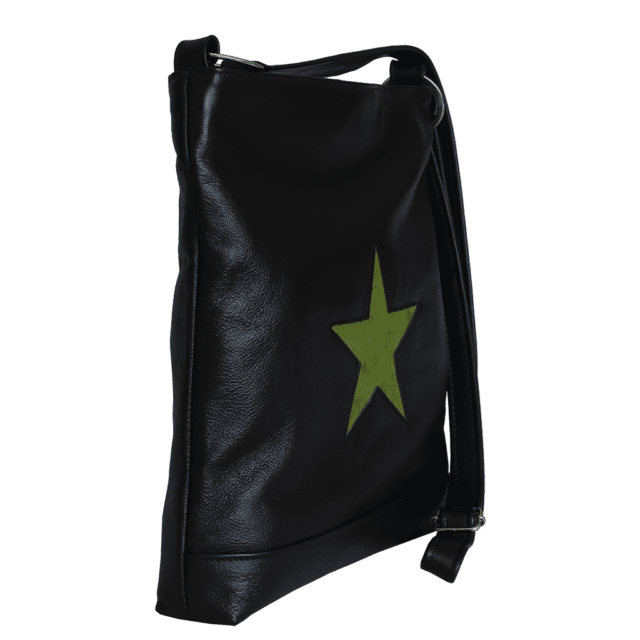 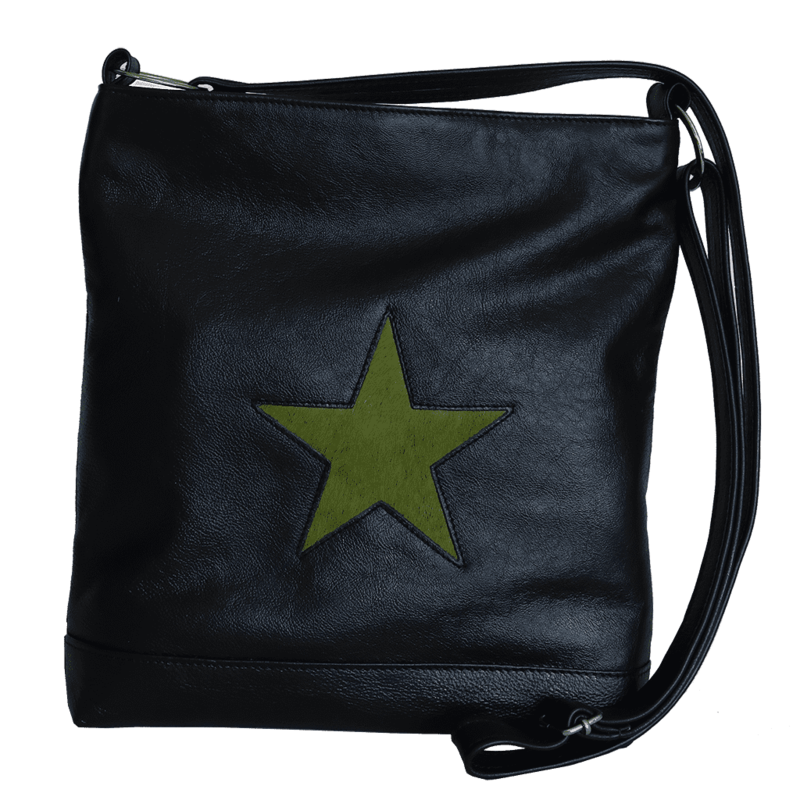 Functional, genuine leather handbag, with star detail, for everyday use. 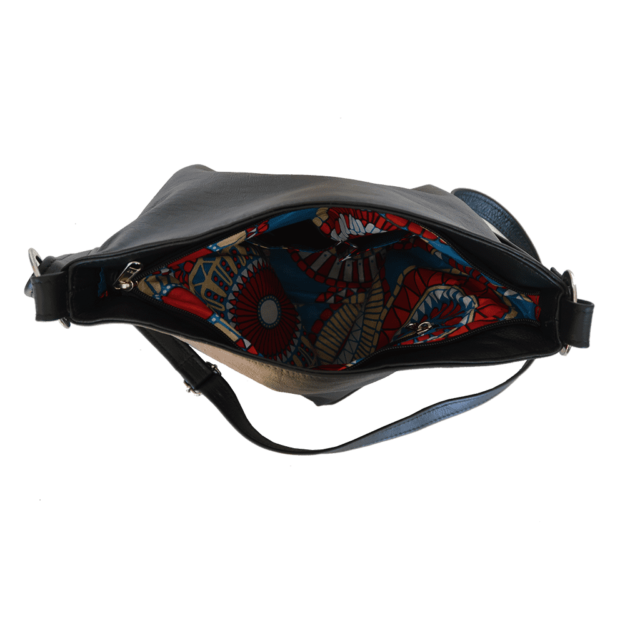 With adjustable shoulder strap, and zip closure. 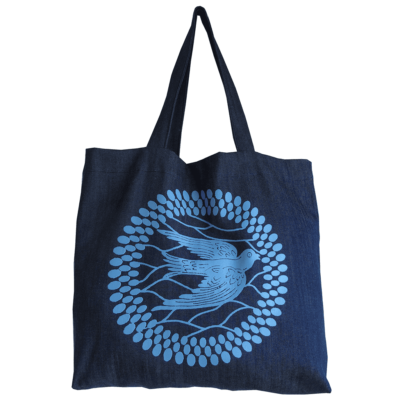 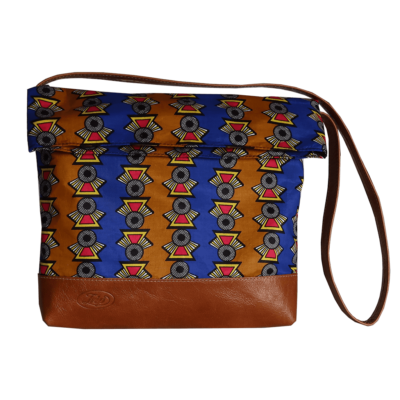 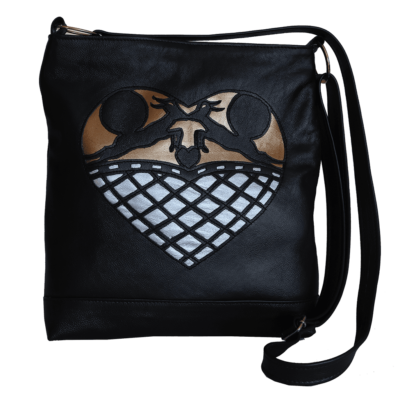 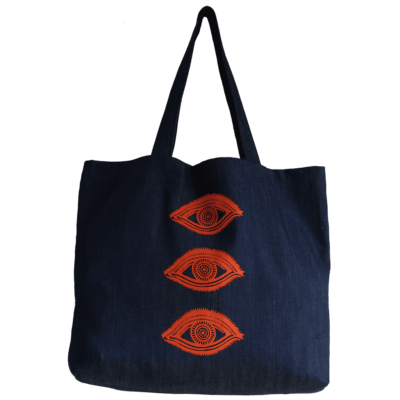 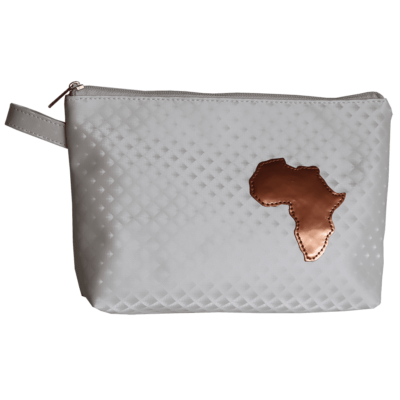 Lined with 100% cotton African print, with inner zip pocket and cellphone pouch. 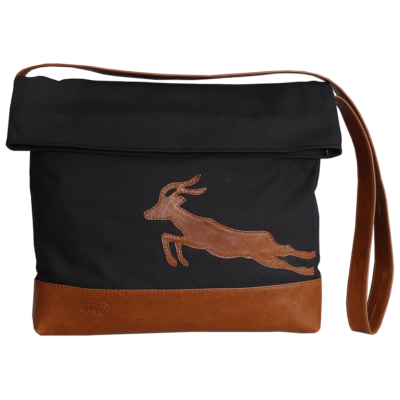 Hand made in Cape Town with pride!